Whats on this Summer 2018. HOW TO FIND US – PLEASE DO NOT TRUST YOUR SAT NAV YOU WILL GET LOST!!. The end of our lane is located between the village of Dinas Cross and the town of Newport on the A487 just North of Fishguard, Pembrokeshire. Please click here for further directions and map. 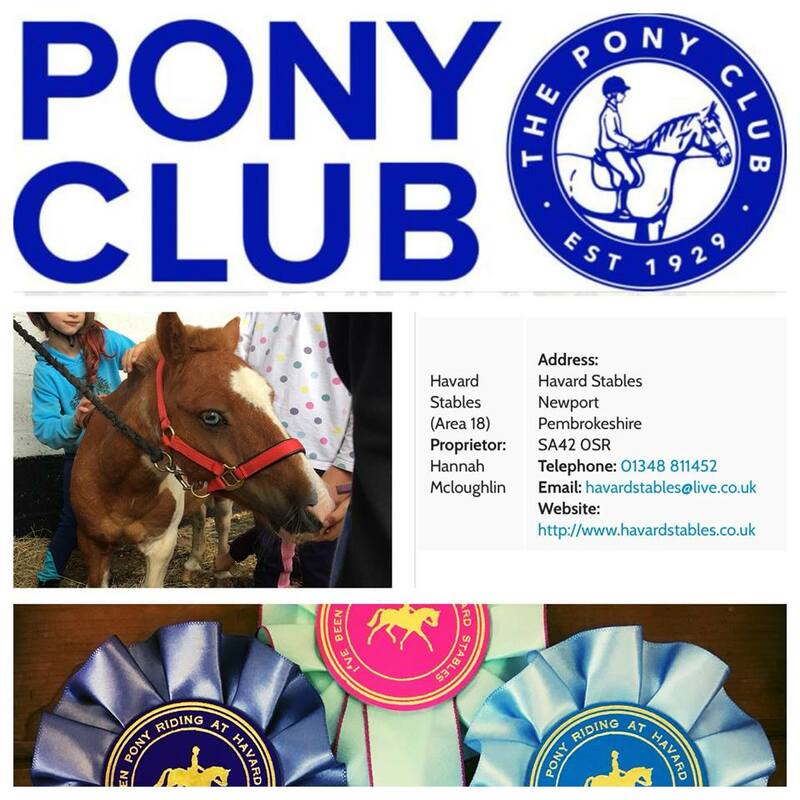 We are now an official Pony Club Centre here at Havard Stables. We hold this on the first weekend of every month for members for 2 hour sessions were you have a lesson and learn about many aspects of horse care to achieve badges and certificates. Please ring or message for more information or an application form. Age 4yrs – 25yrs. All abilities welcome. Our popular one hour treks are suitable for all ages and abilities. We offer shorter pony rides, pony days and of course our weekly saddle club on Saturdays for your children. Longer treks are available on request. We offer riding lessons for all abilities in our sand school with no minimum age . 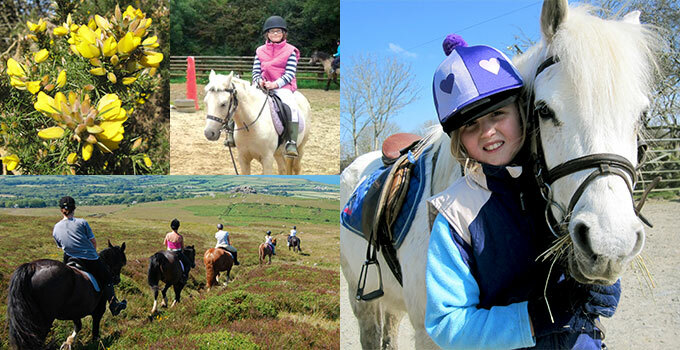 Short pony rides out of the arena are available for children to get them out and enjoying the welsh countryside. Enthusiastic children will find a warm welcome on pony days when they can immerse themselves in the life of the stables and really get to know the horses and ponies. Please note – we have a weight limit for riders of 16 stone maximum. 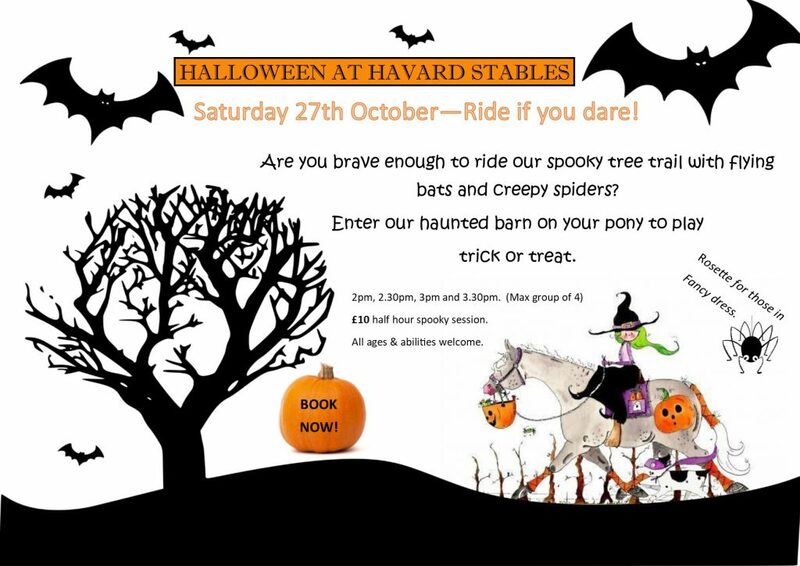 Riding hats are provided, long trousers are recommended and ideal footwear would be boots or wellingtons with a small heel. (Selection of footwear can be borrowed). Pony Days are held in the school holidays. Saddle club every Saturday 10am til 1pm. We started in 2012 a Saturday saddle club for children, it is very popular and great for those horse mad kiddies! I realised there is need for children to not only learn to ride whilst they are here but to learn how to groom, tack up and care for a pony. Therefore the saddle club was introduced, children gain awards, certificates and prizes as they progress with each task. Make sure you book in advance!. At Havard Stables we have a range of facilities including internal stabling, tie up area, wash box, outdoor manage, show jumps, off road hacking with use of bridleways and mountain, parking, customer walk in shower room with toilet. We offer Full or part livery to suit your requirements. We sometimes have Ponies and Horses for Sale. “Picturesque hillsides, quiet bridleways, open countryside, fresh Welsh country air, friendly riding horses. If you love any of these the you’ll love a day at Havard Stables. Hannah Havard opened her family home as a riding establishment…and has gained a wealth of experience in developing the skills of both the capable rider and enthusiastic novice. You’ll find staff are caring and friendly, in and out of the saddle! The school offers riding instruction/trekking. Hannah’s aim is to get people out enjoying the Welsh countryside but with the added advantage of being on the back of a horse.